Supporting over 1,000 charities around the UK, HR software from just £5 per month. Breathe has been committed to supporting charities since day one. UK registered charities with up to 250 employees can subscribe to our software for 50% off the standard cost. Breathe charity subscriptions begin at just £5.00 per month. Our simple to use software makes it easy to store all employee and volunteer documents and data centrally, in a single place, eliminating the need for spreadsheets and paper files. Breathe automates time-consuming manual HR processes, meaning you and your team have more time to focus on fundraising and providing support to your charity’s causes. Our software is hosted securely in the cloud on your behalf. You don’t need to spend money on buying and supporting servers, which can be a significant drain on any charity’s resources. Ongoing email and telephone support for your team is included in your monthly subscription. No wonder more than 1,000 charities now save time and money by using Breathe! A year on from the introduction from the government’s General Data Protection Regulations (GDPR), the UK Information Commissioner’s Office has already fined a number of charities for data breaches. Those fined have suffered reputational damage and with existing and potential donors seeing their donations used to pay some substantial fines, there is a very high probability that this has disrupted the charities involved with their fundraising efforts. Did you know that in addition to marketing related data breaches, GDPR also applies to HR and the information you hold about employees and volunteers? The more systems and spreadsheets used to store HR related information, the greater the risk of data breaches. By centralising data storage in a single, highly secure system like Breathe, you can mitigate against the risk of breaches and at the same time reduce time spent on admin. 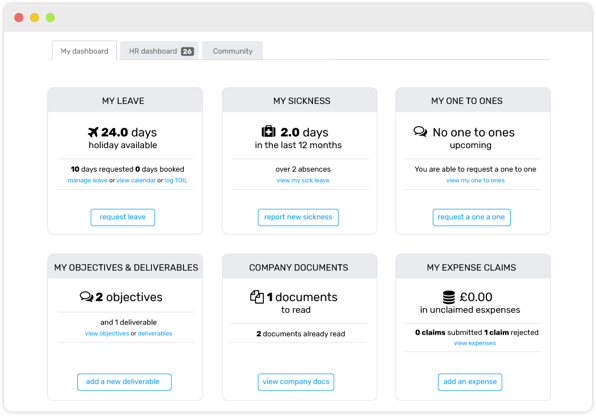 Take a trial of Breathe and see how it can help you achieve GDPR compliance as well as make your life easier. I’m a small charity with a handful of employees and volunteers, and no HR department. Is your software suitable for me? Absolutely! Our software is ideal for charities which don’t necessarily employ HR staff but nevertheless, need to manage employee and volunteer information. It’s designed to help small charities save time and money by making it easy to take care of HR admin. Your data is stored in state-of-the-art data-centres which have been independently ISO 27001 certified. Your data is backed up automatically. Most charities would need to spend hundreds of thousands of pounds to set up equivalent datacentre infrastructure for themselves. What’s the difference between a charity account and other customer accounts? You’ll have full access to all the features Breathe has to offer, exactly the same as our non-charity small business customers. Do all charities qualify for the 50% discount? Any charitable organisation with a registered UK charity number and up to 250 staff or volunteers will qualify for the lifetime discount. Absolutely nothing! We hope you enjoy using Breathe but if you do want to cancel at any time, simply let us know. There are no cancellation fees. HR Software for UK-registered charities under 250 employees, sign up in less than 30 seconds.